Wrapped in the lush greenery of the Aravali Hills is the city of Mount Abu. A popular destination for those who want to escape the Rajasthan and Gurjrat heat in the summer, Mount Abu offers visitors a scenic cool haven that is beautifully dotted with some of the most beautiful monuments. It is not very recently that Mount Abu earned its reputation as a summer getaway, the British were the first to popularise the place as a hill station. Mount Abu is also one of the few places that were visited by the 24th Jain Tirthankara, Mahavir, hence, making Mount Abu a holy place for Jains, along with Buddhist and Hindus. All in all, Mount Abu is one hill station that is apt for any kind of vacation, be it a quest for enlightenment or simply a fun family outing. This Jain pilgrimage sight is decked with beautiful temples that have ornately carved marble edifices that add to its immaculate and serene appeal. Built during the 11th and 13th century, the Dilwara Jain Temples are dedicated to the Jain Tirthankaras. Mount Abu boasts about five of these beautiful temples out of which the Vimal Vasahi Temple is the oldest and most revered. Set admits the backdrop of the beautiful Aravali Hills is the Gaumukha Temple. The temple has a natural spring that flows through a sculpted cow head, which is why the temple is so named, Gaumukha. One can also visit the beautiful Arbuda temple that houses the marble image of Nandi, also located here. Associated with many folklore, is the Nakki Talab. It is believed that the lake was created by the gods, who dug it up using their fingernails. The lake stands in the background of a beautiful Raghunathji Temple, which is a must visit, when in this area. As the name suggests, the Sunset Point, is a point in Mount Abu where one can view the sun setting in its full glory. There are other points like the Andra Point, the Honeymoon Point that are worthy of a visit. 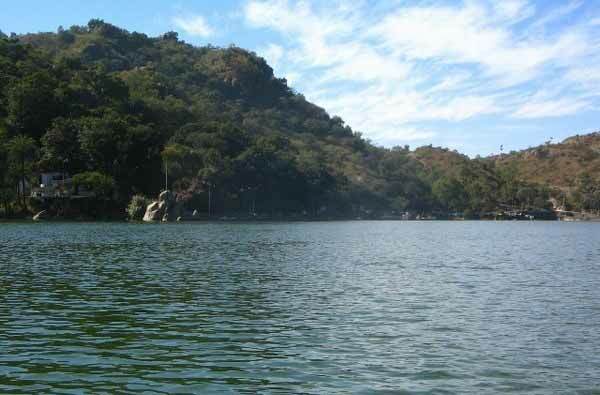 Mount Abu is blessed with lush greenery and in the city there are places where you can take advantage of it. Apart from its monuments the city is also known to house some very famous parks. The Municipal Park, the Ashoka Vatika, Terrace Gardens, Shaitan Singh Park and the Gandhi Park are some of the places you can enjoy the lush greenery and take a nice long walk. The Government Museum houses some of the most fascinating artefacts of the region. One can see miniature paintings, Jain bronze carvings, brass work, jewellery, sculpture etc. spanning from a time period of 8th century to 12 century.